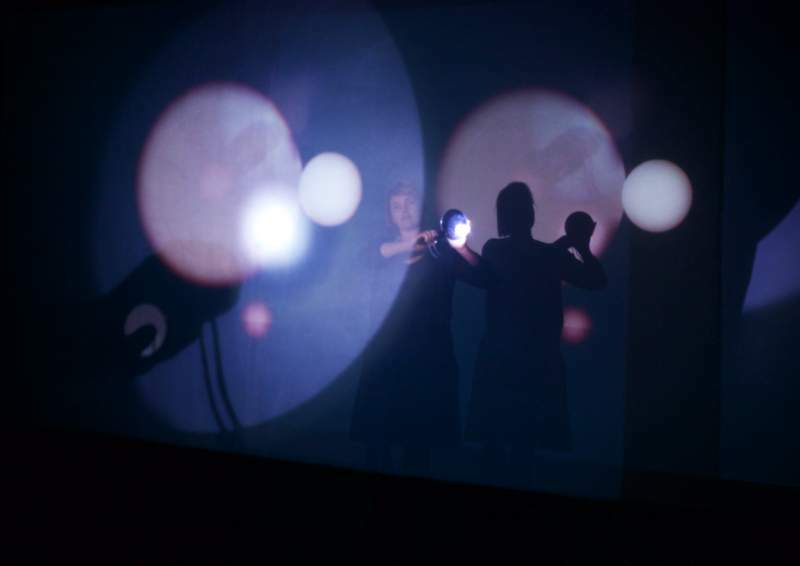 A sublime yet teeth-rattling trip into a blazing projector beam and back again, Sally Golding and Spatial’s Decompression sees the form bending backwards over itself to question the idea of what cinema – artform and venue alike – can make possible. Exploring what a ‘cinema of the future’ even means, the work is part of Tyneside Cinema’s Projections open call series, an exciting programme that opens the door to fresh new talent. In 1970 media arts and politics theorist Gene Youngblood’s book Expanded Cinema argued that a new kind of cinema was required for a new consciousness. Writing, as he felt, at the end of cinema itself, Youngblood exploded ‘the myth of entertainment’, arguing that humanity is at “the beginning of an era of image-exchange between man and man”. Taking this position as self-evident, Decompression places the theory and written text of Expanded Cinema at the heart of a searing audio-visual assault. A portentous and aggressive opening salvo leads to revelation as text, meaning (and image) make themselves known, leading to an elatory plateau that can only be reached by filling Plato’s cave with smoke and firing RGB lasers into the crowd. Ultimately achieving a kind of sense-beyond-sense, Decompression makes us question the participant/observer dichotomy at the heart of a conversation we need to be having about 21st Century cinema, a critical discussion it’s reassuring to see Tyneside Cinema leaning into.